Blocs has two main view modes that you can utilise while building your website, design and preview mode. 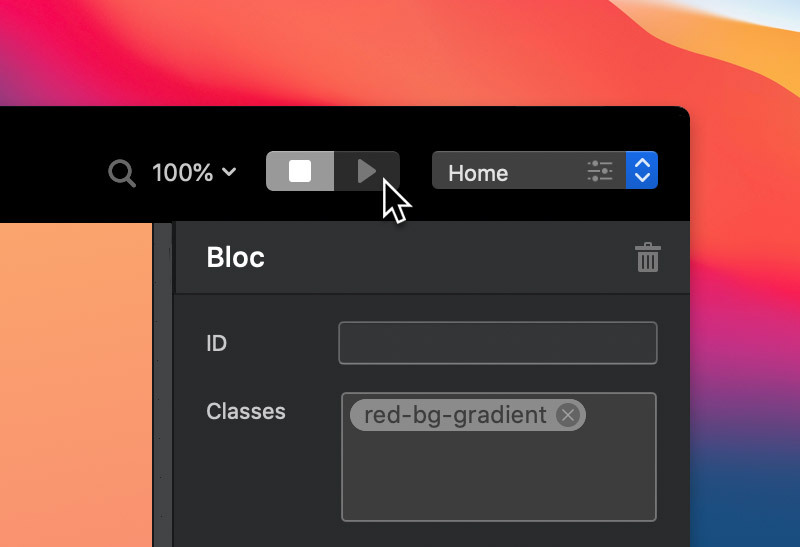 Design mode is the default view mode that is set when Blocs is first launched. In design mode, you will have access to all of the editing, interaction and animation tools available within Blocs. In preview mode you can experience your website the way you would when it’s viewed within a web browser. All interactions, animations and videos will work as you would normally expect. 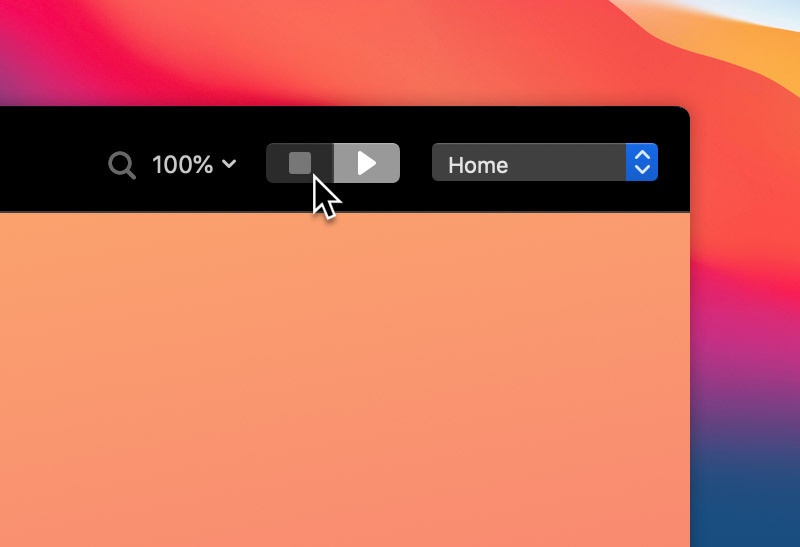 To enter preview mode, simply click the play button located in the main toolbar or alternatively use the keyboard shortcut ⌘+V to toggle between view modes. To exit preview mode, simply click the stop button located in the main toolbar.